Bulk Discounts for JVB E-CIG MEGA RECHARGEABLE KIT, MENTHOL FLAVORS. The seller is great, easy to work with, quick responses, and fast shipping. JUUL Replacement Pods - Pack of 4 JUUL Creme Brulee. 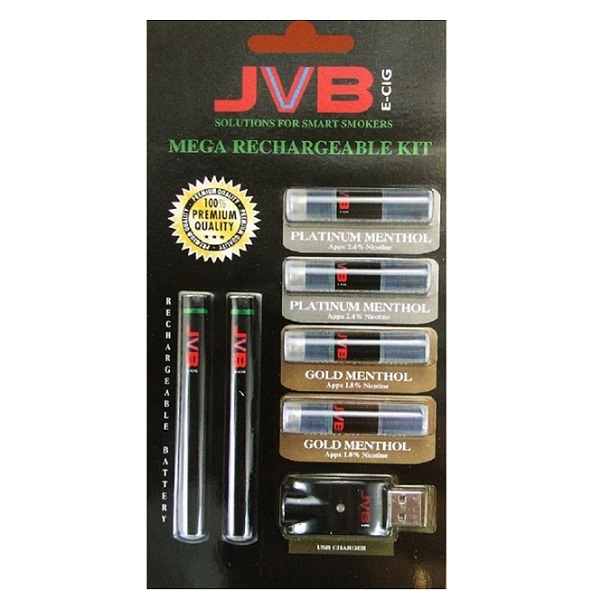 Click the button below to add the JVB E-CIG MEGA RECHARGEABLE KIT, MENTHOL FLAVORS. to your wish list.